Disc Brakes are a relatively modern addition to cycling, having existing for around 25 years in MTBs, and around 10 for road cycling. 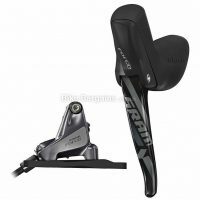 The obvious advantage over traditional rim brakes is that braking is a lot more powerful, consistent and controlled, and whilst there may be a slight weight penalty, they’re an increasingly popular choice amongst road cyclists, having dominated traditional brakes on mountain bikes for the last decade. The disc rotors tend to attract less dirt than wheel rims, so braking performance is less affected by adverse conditions when compared to traditional cantilevers or v-brakes. The downside of upgrading to disc brakes is that you will need a disc specific frame and fork – look for two disc tabs situated on the non-drive side of each. 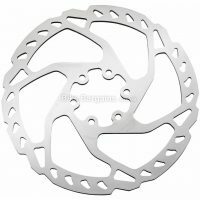 You’ll also need wheels with disc compatible hubs, so that the actual rotor can be fixed in place. The vast majority of disc systems are hydraulic, but at the lower end there are a handful of cable operated systems; I’ve labelled these to avoid confusion. 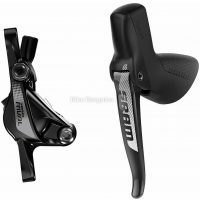 Below are my best disc brake deals, the majority of which are for Mountain Bikes, with one or two road bike specific systems thrown in too.